With May just around the corner, I find myself looking forward to celebrating Mother's Day, wrapping up another school year for our youngest daughter and her annual dance recital, helping with two nephews' graduation parties, and the arrival of a new grandbaby! Of course, with all of these events, that means there are plenty of WIPs (Works In Progress) in my stitching basket to fill the in-between times too. What are special events you are looking forward to this year? If there's a wedding in your family, you'll love the sweet and quick-to-stitch Wedding Sampler as a special keepsake, or you can create the stunning Beaded Whitework Wedding Frame as a lovely gift for the bride and groom. The Antique Cross or the Personalized Table Setting would also be perfect gifts for the happy couple. If you're looking for a few special pieces to spruce yp your decor, Welcome Friends Banner, Home Is Where the Heart Is Pillow, or the showstopping Three French Hens are sure to do the trick. If your calendar is looking busy in the coming weeks and you're in need of a small take-along project, Sweet Flower of Love and the Dad & Mom Mug Cozies are easy and fun projects for the busiest stitcher. And they make great gifts too! 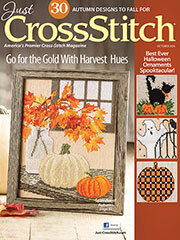 I hope you enjoy the full lineup of projects that you find in this issue and are inspired to start stitching a new project right away. If you find a few spare minutes, be sure to drop me a note and let me know which project you're working on. I'd love to hear from you! 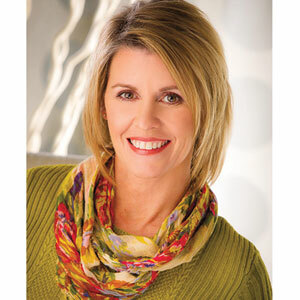 Tanya Fox has served as editor of various Annie’s publications since 2006 and editorial director since 2016. She said, "I have enjoyed stitching and creating art of all kinds since very early in life. My earliest creative memory is of sewing doll clothes with my mom and grandmother. I learned embroidery and cross-stitch from my great grandmother in my early teens starting with simple stamped designs and progressing to projects on stitched on Aida and linen. I truly love that whether I’m working with fabric and floss, yarn or paper, there's always something new to learn. Part of what makes stitching so enjoyable is sharing what I know and learning from others." Tanya is a native of Indiana, and she and her husband, Jim, have six children.